The Aion is the new sensation by Lamy. 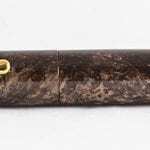 Everyone in the fountain pen community is curious about this robust fountain pen. It is a huge pen, bigger than Parker’s Duofold, to give you an idea of it’s size. At first glance, you might think it’s a bulky pen, but the pen is subtly engineered. The top of the cap and the holder at the bottom are rounded off nicely. The beginning and end of the holder are just as wide. And not unimportant the pen is quite reasonably priced. 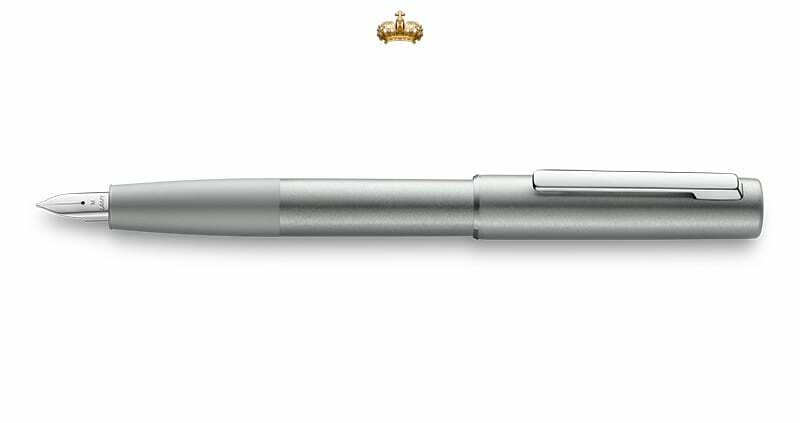 The pen is very well positioned in the hand and contrary to the Aero by Diplomat it is much lighter than you think. The nib holder and the place where you grasp the fountain pen are joined together, which makes the grip very good in my opinion. I myself find most edges annoying and don’t really understand why it is that so many pens are still being designed and even made with sharp transitions in the wrong places. With the Aion you don’t have to bother about that. I like a fountain pen that is a bit longer, like the Aion, it means you don’t have to write with the cap posted. It’s a fine pen for beginners, but I bet that many advanced users will find this pen perfect too. How does the Lamy Aion write? Almost all Lamy fountain pens have the same nibs and those pretty are good. Although, now that I’m looking at it for a longer period of time, it seems like this one’s cut just a little less sharp. The pen actually writes as well as more expensive models. 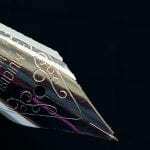 The steel nibs are fine, but the golden nibs glide just a little more smoothly over the paper. 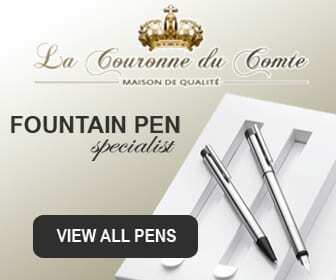 You can write with or without the cap posted, the pen stays well in your hand, because it is relatively light. The Aion uses a cartridge filling system in which you can also use a converter. 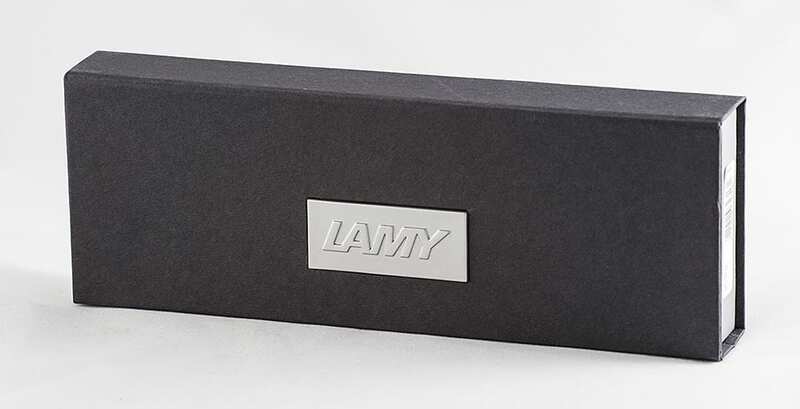 The clip is fine, with the well-known Lamy spring system, you can transport the pen in any way possible. Albert is a Dutch collector of fountain pens, and everything to do with them. He is a real "penthousiast". Next to that he lives with his family in the Netherlands in a quiet part of Noord-Brabant. He spends his spare time writing for this blog (not with a fountain pen unfortunately) and reading books.